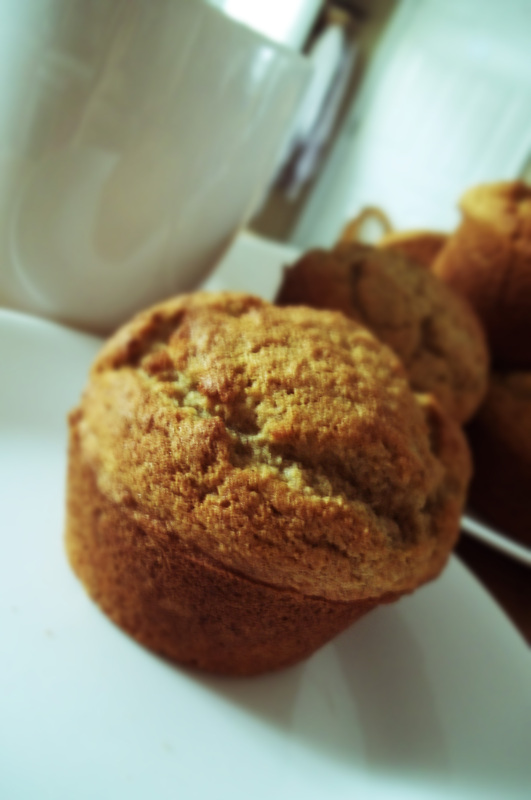 I made a mistake making these muffins, but they still turned out really good. I like the texture. It’s a lot different from a typical banana muffin. You could make them the way I wrote the recipe and they’ll be like regular banana muffins, or make the same mistake I made and have something a little different (I wrote the mistake into the recipe). Enjoy! Preheat oven to 375º (350º convection bake). Spray a muffin pan with cooking spray. In a large mixing bowl, cream together the butter and sugar until light and fluffy. Add in eggs, bananas, and milk. Mix thoroughly. In a small mixing bowl, combine flours and xanthan gum. *Here’s where I made a mistake: I forgot to add in the xanthan gum. Surprisingly, the muffins still rose and looked like real muffins. They were a little bit dryer than real muffins though, but the texture was really nice. You can omit the xanthan gum or you can substitute about 2 tablespoons of flax meal instead. Play around with it. You can also add in chocolate chips or nuts. Add the flours to the butter mixture and mix well for about 1 minute, until thoroughly combined. Using an ice cream scoop, scoop a heaping scoop of batter into the prepared muffin tin. This will make about 10 muffins. Bake in preheated oven for about 22 minutes, on the middle shelf, until golden brown. Remove from oven and allow to cool on cooling rack. 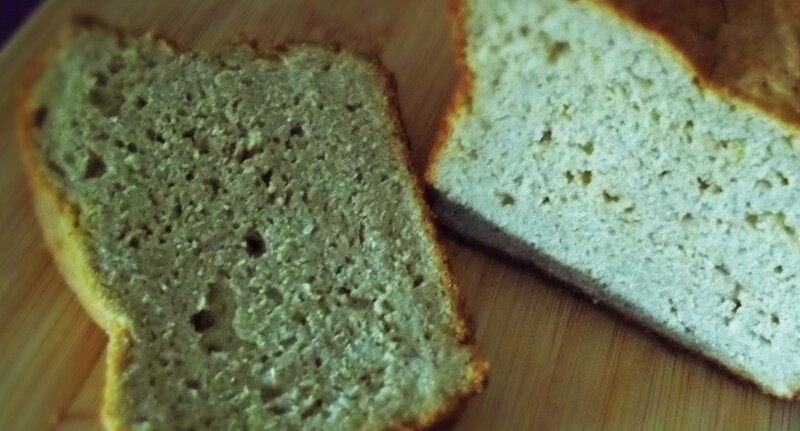 This entry was posted in Gluten Free Baking, Gluten Free Bread, Gluten Free Food and tagged Gluten Free Baking. Bookmark the permalink. By any chance is there a calorie amout per muffin? Here’s the break down: 185 calories, 6 grams fat, 44 mg cholesterol, 51 mg sodium, 95 mg potassium, 28 g carbs, 1 g fiber, 4 g protein.